now if I am not having any problem. then can anyone confirm if someone installs November 2016 SharePoint CU, then till now (May 2017), there are not any missing SharePoint security updates?? in this case, this can explain why windows update tool is not showing any SP security updates for my farm, which have November 2016 CU installed?? 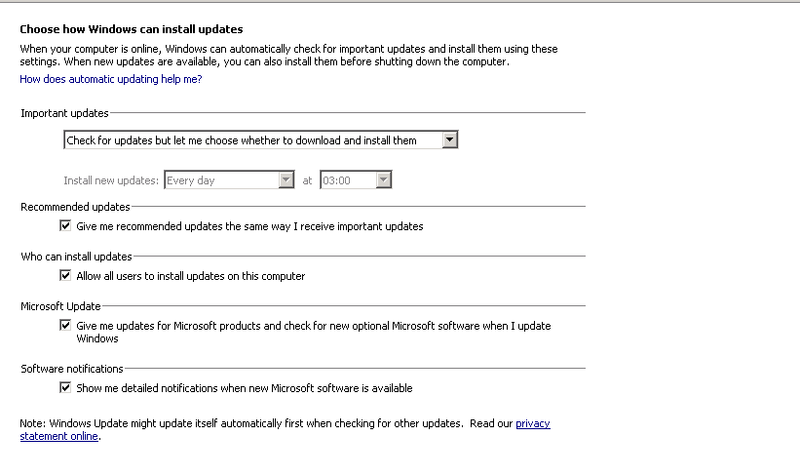 Likely you do not have the Windows Update option 'Give me updates for other Microsoft products' checked. That said, I recommend against using Windows Update for SharePoint updates as they require manual intervention post-patch, and it is always a good idea to test in a QA environment prior to deploying to production. Your WSUS endpoint could be on a GPO and overridden. Which allows the infrastructure team to take over what updates are available to you. Not the answer you're looking for? Browse other questions tagged administration installation configuration cumulative-update windows-server-2008-r2 or ask your own question.